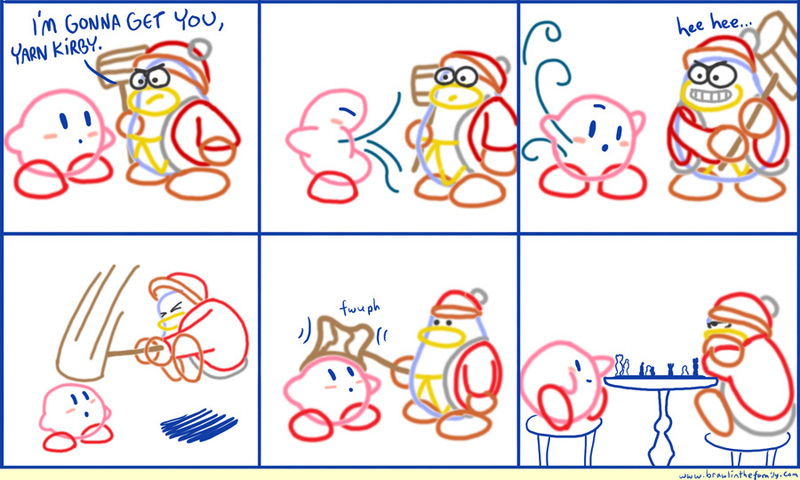 Kirby’s Epic Yarn week is go! On the game itself, I just picked it up today and played through the first world in co-op! Suffice to say, it’s shamelessly adorable, even moreso than last year’s “aww”-inducer, A Boy and His Blob. It’s also very clever and altogether pleasant so far, so I’m looking forward to jumping deeper in the game over the next several days.